Max Lean, who was born and grew up in Brussels, is one of the big rising talents in the EDM scene. As a DJ, Producer and Musician he has been playing various instruments for over 15 years and focusing on electronic music for more than 10 years. He already played alongside Paul van Dyk, Ummet Ozcan, Deniz Koyu, Michael Calfan, Eddie Thoneick, Faul & Wad Ad, Plastik Funk, Syke'N'Sugarstarr, DBN, Danny Freakazoid or Jesse Voorn and is hugely supported by Don Diablo, Fedde le Grand, Dimitri Vangelis & Wyman, Kryder, Simon de Jano, Madwill just to name a few. The reason which makes him so authentical is his unique mixture of funky, uplifting house, progressive melodies and lots of electronic beats. In addition, this young man is such an attracting because of his outstanding performances behind the decks. You really feel and see his passion for housemusic while you're listening to him. He takes the dancefloors to a higher level. "For me, it is all about sharing my passion with people" he says. "That’s why I am a DJ & Producer." “Please Take Me” - German Dance Charts Top 40 or his track „Stars“ (released on Tiger Rec.) - #12 on the MTV Dance Charts – have showen that Max is ready to take the next level in his career. 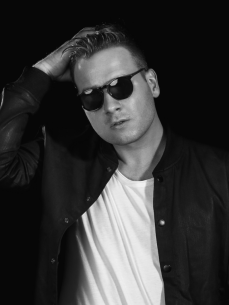 In 2016 big progressive productions & cooperations were released like the big tunes „Dreamer“, “Hero”, “Brio” or the collab with his buddy Avaro called “Love of my life”. End of 2016 he got signed to one of the top 3 major electronic labels in the world – Armada Music – with his official cover version of the Adrian Lux Axtone Classic – Teenage Crime which is supported around the globe. No one else than DJ-Superstar and three times Top100 DJ of the world - Armin van Buuren co-owns this music company and innovative house-label. In 2017 the journey goes further… For Max there is no time to rest and his new major deal with Ultra Music, probably the biggest player in the EDM industry shows the potential behind his production and his love for house music. So be prepared for a lot of new vibes and melodies with great vocalists & musicians from all over the world. Already confirmed shows in Ibiza, Amsterdam (during ADE), Italy, Switzerland, China and the fact that he just recently signed with “BCB Family”, one of Germanys leading booking agencies, indicate, that Max is more than “just one more face” in the electronic music scene.